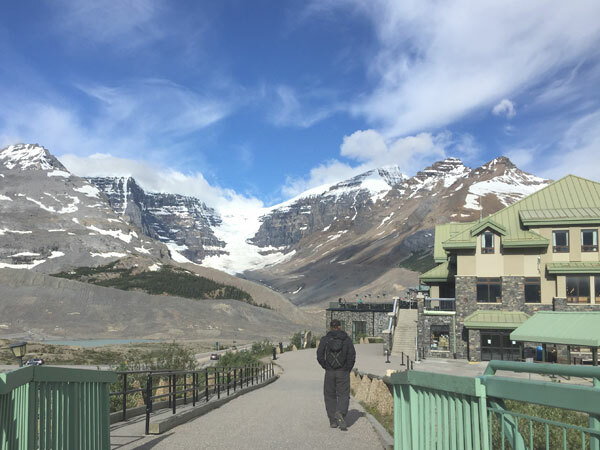 This summer, my friends and I started July with an out-of-town trip to Jasper and Edmonton from Calgary. Hurray! All locations are found in the lovely province of Alberta. 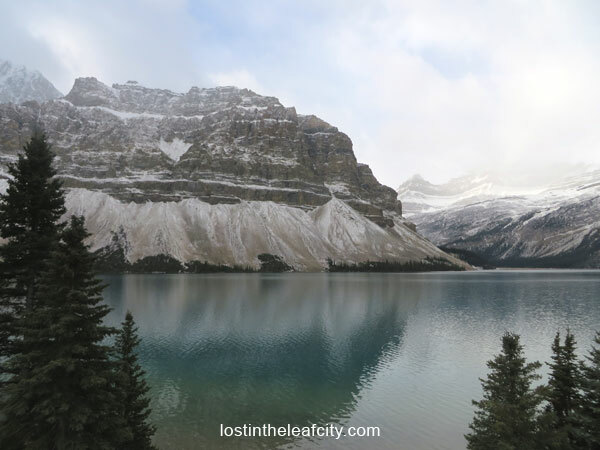 We only had two days to explore the park and city so as much as possible we went to many places that we could on the itinerary or whatever we passed by. This website and friend’s recommendation helped us planned the trip. And a dose of curiosity is a must for every trip. (We found interesting places so you’re in for a treat 😊. With limited time, we didn’t have to spend a lot in a hotel; an overnight stay was enough. 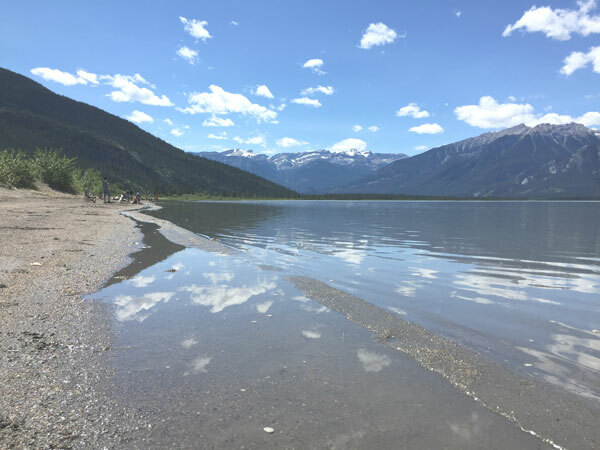 If you are planning to go for a summer trip, this post will show you what are the places to visit in Jasper. For the second part you’ll discover the places to visit in Edmonton for free and with affordable fee. Hi wooden bear. Could this be a sign that we would see a real bear? Maybe. It takes 5 hours to get to Jasper from Calgary so we stopped by The Crossing for a cup of hot drinks and washroom break. Because it was going to be a long drive to Jasper National Park, we were back on the road after picture taking. Sleeping is my favourite thing to do in the backseat because I sleep late the night before every out-of-town trip. Not a good idea. The centre has a souvenir shop. Watch out for items on sale like shot glass and fridge magnet. Tickets to Skytram and Skywalk are also available at the centre. And if you missed The Crossing, you can eat at the cafe in the upper part of the centre which comes with a picturesque view. We made it to the Jasper National Park. But on our way, we saw a family of bears crossing the road. Where’s the photo? Ooops! They made it to the other side of the road before I even get the chance to use my phone. 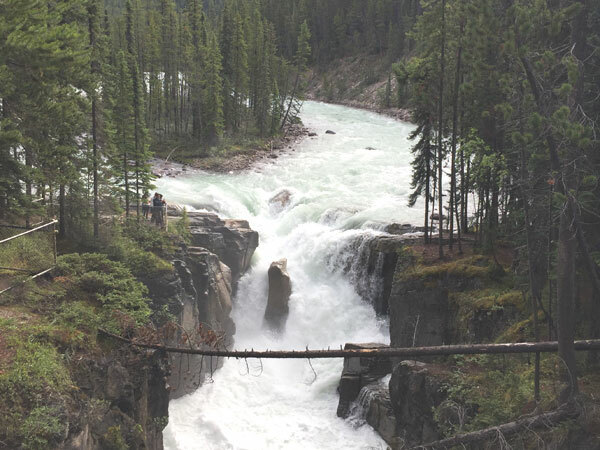 And our first stop in the park is the Sunwapta Falls which is recommended by a friend. 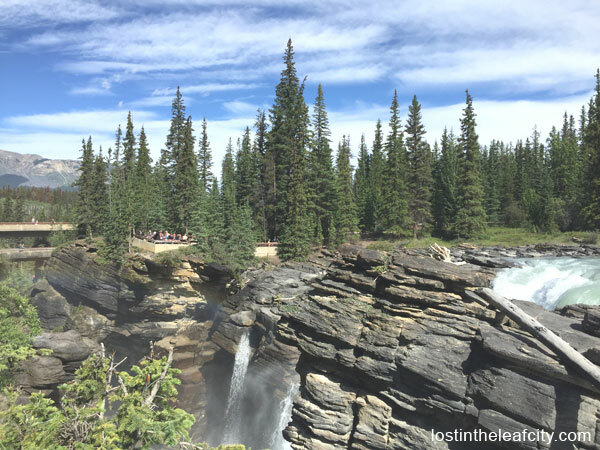 We are lucky that we didn’t have to hike to see the falls unlike the Johnston Canyon in Banff. We stayed on the falls viewpoint. 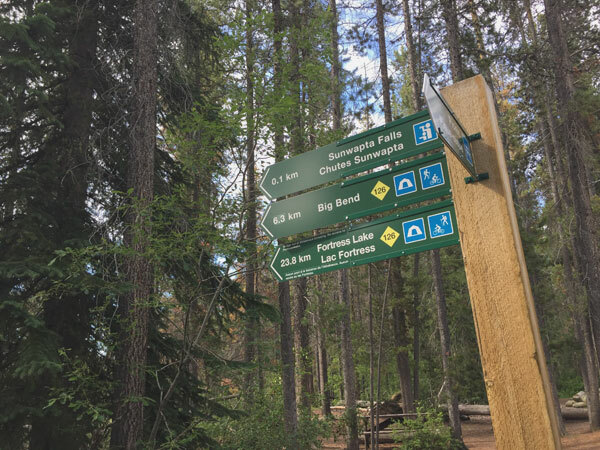 From here, you can hike for 6.3 km to the Big Bend or 23.8 km to the Fortress Lake. The best viewpoint is on the bridge. You can go down to have another perspective of the falls. I wonder what the falls look like along the hiking trail that leads to the campground. On to the next falls on the list: Athabasca Falls. 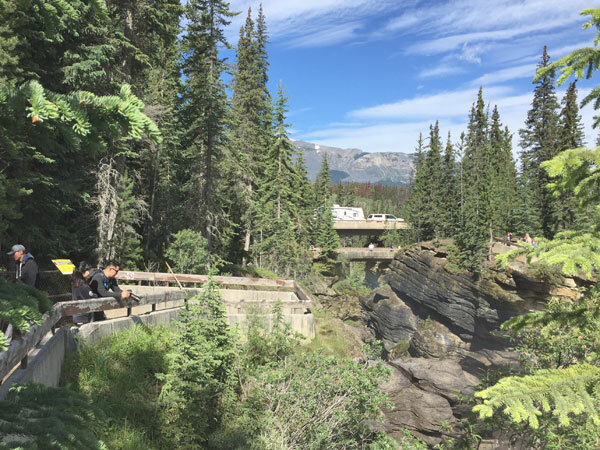 Athabasca Falls has many viewing area to see the falls from a higher and lower perspective. Although we went on weekday, the falls are filled with tourists that taking a selfie from the best spot is a challenge. Move farther from the entrance for less crowd and a better view of the falls. 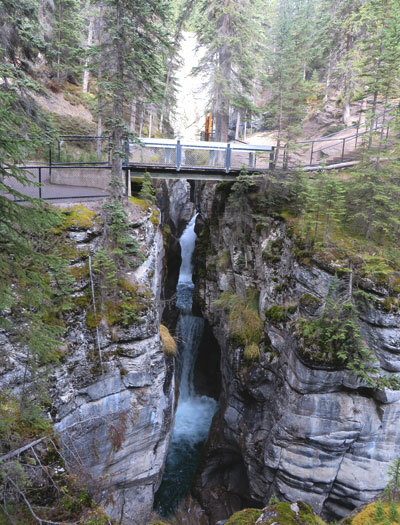 If you have a time to hike and want to see lots of falls in one destination, do not miss Maligne Canyon. The heights of the falls and canyon are worth the trip even if you have fear of heights like me. Here’s another extra tip from a past trip. Have the time for a sight-seeing from the side of the road going to Jasper. I had the chance to take a photo of this majestic view years ago in October; it was a bit chilly at that time for an Asian-born like me. It was passed noon and we haven’t had lunch so we decided not to stay long and explore the other viewpoints in the falls. Having a friend that cooks well means bringing home-cooked meals on a trip. We found a picnic area in the REC field in the town of Jasper. 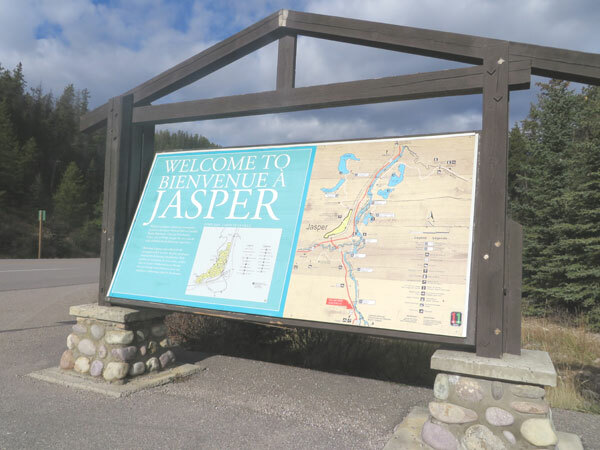 Check this map to help you navigate the town of Jasper. Download the image so it is easier to zoom in and out. Parks Canada also has summer and winter guides and maps and brochures for tourist visiting the Jasper National Park. At this point we’ve crossed out the list for our Jasper trip. What else is out there? We passed by a lake that is so interesting we had to go down and have a closer look. This is the treat I’m talking about. People were walking in the middle yet the water is only as high as the ankle while others were enjoying the sun on the shore. Was it too hot that the water level is incredibly low or it’s natural that way. It’s just a shame we didn’t find out the name of the lake. Do you know what it is? From there we went to Seba Beach and Alberta Beach for a quick stretch out of the car. The beaches are located west of Edmonton. For those who like boating, fishing, or other water activities, these beaches are worth stopping by. But I would recommend Sylvan Lake more among the three summer attractions. 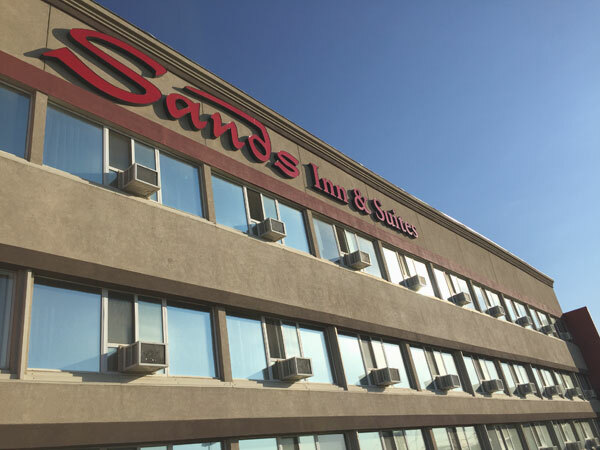 The last stop of the first day trip is the Sands Inn & Suites which is closed to all of the three tourists attractions in our itinerary. What we like about booking online for the accommodation is that credit card is not required. Print the copy of the booking information and that’s it. We didn’t find a walking-distance convenience store from the pet-friendly hotel or were probably lazy from a whole-day trip. But there’s a liquor store across the hotel if that’s what you are looking for. If you run out of water better stop by a convenience store before checking in. Au revoir! See you on the second day of the trip. This time we are heading to Edmonton, the capital of Alberta. 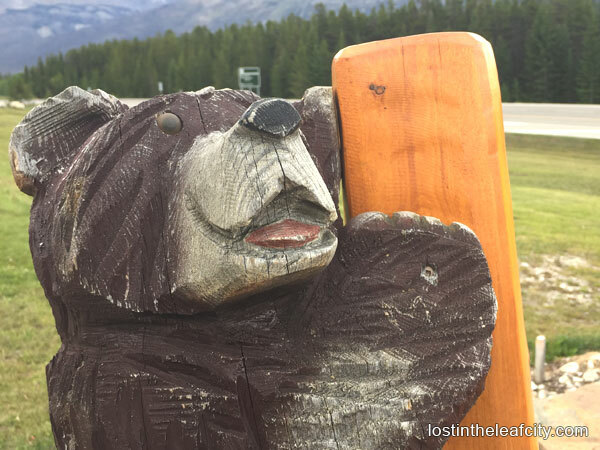 Have you been to Jasper? What is your favourite place to visit in Jasper?